Alzheimer’s disease (AD) has been identified as one of the 25 top causes of years lived with disability. Currently, no pharmacological treatment can prevent, slow down, or stop the course of this disease. From the clinical and health management perspectives, Mild Cognitive Impairment – a condition representing a risk factor for the development of dementia - and early stages of AD are the most interesting conditions for interventions aimed at delaying further decline. Telemonitoring and telerehabilitation home-based services have been advocated to provide manifold benefits for people with cognitive disorders. 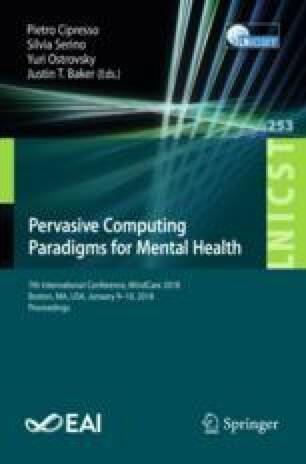 In this paper, we will describe the concept vision enlightening Ability, a technology-enhanced continuity-of-care home program for people with cognitive disorders. After describing the platform architecture, we will present a use case showing how it benefits people with cognitive disorders and both formal and informal caregivers by generating intertwining support in the process of care, enhancing well-being, health conditions, and inclusion.